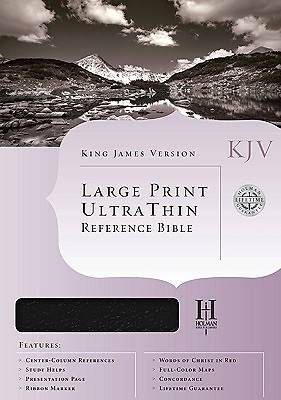 The King James tradition continues with this easy-to-read and easy-to-carry Bible designed for those who appreciate larger type. Features include words of Christ in red, presentation page, center-column references, family records section, full-color maps, ribbon market, gift box, and 10.5 type size. (Black genuine leather, indexed edition).